The Malaysian Palm Oil Certification Council (MPOCC) announced this week that the certification of Malaysian palm oil has soared in 2017 by 135%. This was followed by another announcement on the standards used in certification which “add clarity to the scope of certification particularly regarding group certification of small and mid-sized plantations coming together and being managed by a group manager under the MSPO Certification Scheme.” The revised standards can be downloaded from this link. Certifying its products to earn consumer confidence has precedence in Malaysia with certification bodies including SIRIM-QAS and the Malaysian Timber Certification Scheme (MTCS). This newest initiative to certify its palm oil industry will undoubtedly be more challenging. 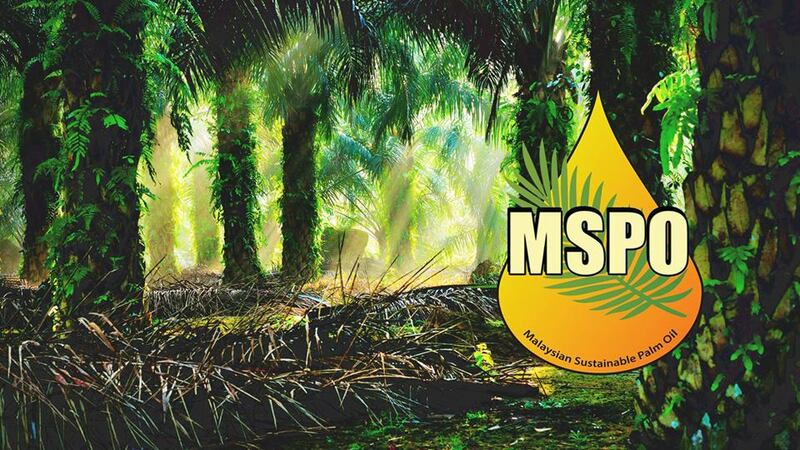 Unlike a light bulb which SIRIM-QAS can certify for reliability or a timber plantation certification under MTCS, the MSPO scheme is looking to certify 100% of Malaysia’s palm oil operations which includes the small farmer with two hectares to the biggest multinationals like Sime Darby and Kuala Lumpur Kepong. To meet its aggressive target of achieving 100% certification by the end of 2020, the government has allocated funding to assist small and medium growers to become certified. Industrial operations which include some of the biggest names in the global palm oil industry are expected to attain MSPO certification for their operations by end 2018 if they have existing certification under the RSPO or ISCC. Operations owned by industrial companies not covered by existing certification schemes are expected to achieve MSPO certification by June 2019 while independent smallholders are expected to be certified by the end of 2019.. The ability to reach even the smallest farmer is possible as the existing regulations in place dictates that every oil palm tree involved in the supply chain must have a license issued by the Malaysian Palm Oil Board (MPOB). There is a great incentive for all farmers and growers to gain certification as they could lose their license if they are not certified by the deadline. Distinguishing "Malaysian palm oil" from "palm oil"
The biggest challenge to the industry however, is the need to distinguish itself. The proposal by the EU to ban palm oil as a feedstock for biofuel by 2021 provides the perfect reason for Malaysia to disassociate its palm oil from the allegations of deforestation, high emissions from Land Use Change and human rights abuses. If there is a problem with Malaysian palm oil, it is the industry’s failure in communications which should have distinguished itself from accusations against the industry overall. This failure in communications could prove to be an expensive one as its palm oil has been lumped in with all the problems associated with palm oil. Arguments that the orangutans in Malaysia are not threatened by the industry are faint noises compared to the din on great apes and palm oil. If Malaysian palm oil is as sustainable as they say it is, the following issues must be addressed publicly as part of their on-going certification initiative. Delinking Malaysian palm oil from deforestation. This will be the biggest challenge to the MSPO as palm oil is synonymous with deforestation. Forest loss in Malaysia started much earlier than their palm oil industry when forests were cleared in British colonial times for tea, timber and rubber. This fact should be shown clearly because NGO allegations of forests cleared for palm oil rely heavily on satellite mapping which can show what areas are planted with palm oil and even back date the mapping to show when the area was cleared. What satellite mapping does not show is what caused the initial deforestation. If a tea or rubber plantation was later replanted with oil palm trees , the initial loss of forest should not be blamed on palm oil development. Tracking down every plantation grown on degraded lands is a tedious task which I don’t expect to be done. The fact is that critics of palm oil will still point to palm oil plantations and insist that a forest once stood there, even if it’s not true. Saving wildlife. A much better thing to do is to show in clear terms, the positive impacts of the MSPO on conservation when its completely implemented in Malaysia. To remove itself from being accused of wildlife extinction, the MSPO has to strive to protect the iconic face of the anti-palm oil movement; orangutans. This may be considered as an unreasonable ask by some palm oil companies but if you look at the popular sentiments against palm oil, it’s not so much the photos of cleared forests that riles up netivists but photos of orangutans in distress. It may be true that the orangutans in Malaysia are well protected but a lack of information on that leads to the assumption that they are also going extinct because of the palm oil industry. Beyond conservation issues, the MSPO has to delink itself from two other key accusations against palm oil if it is to earn the support of buyers.These issues are labor and the rights of indigenous peoples. The rights of indigenous peoples in Malaysia is a complex one. It would have been simple if the rights of Malaysia’s indigenous peoples were as popularly portrayed on social media: to live in harmony with forests. However, the many tribes that are found in both West and East Malaysia have different needs and demands but the common demand is the recognition of their ancestral lands. The MSPO for its part may have overstepped its jurisdiction in acknowledging customary lands that are planted with oil palm trees. This may yet be challenged by state governments but as of now, the recognition of customary lands adds greatly to the sustainability factor of the MSPO. Challenges in labor issues. As a developed nation compared to Southeast Asian countries like Bangladesh, it is a magnet for migrant workers which opens itself up to whole host of labor abuse when unscrupulous labor agencies cash in. Its proximity and shared borders with Thailand, Indonesia and the Philippines further leads to illegal migrant workers who only seem to make the news when their abuse is reported. The most dramatic report on these migrant workers can be seen in the “invisible children” in Sabah featured in this Aljazeera report. Malaysia has cracked down on illegal migrant workers to fight the abuse of workers in the country. This has not been a popular move as industries rely on migrant workers willing to do the menial jobs that Malaysians reject. I have met palm oil plantation workers that are both registered to work in the country and some that are not. These have been positive experiences which leads me to think that the sustainability of Malaysian palm oil should include its ability to improve the livelihoods of peoples not just from Malaysia but from its neighboring countries. Migrant workers will continue to be a major contributor to the global economy. The MSPO would do well to ensure workers in the Malaysian palm oil supply are fairly paid. If it is able to do that, then it should by all means, factor in the poverty alleviation of foreign workers to show its extended reach in global sustainability. Opposition to yet more rules and regulations on the palm oil industry in Malaysia is expected from state governments all the way down to the small farmer but as a federally mandated initiative, it will be done. The only questions remain whether it can extend its sustainability reach outside of industry operations and communicate its impacts on conservation and regional poverty alleviation better.